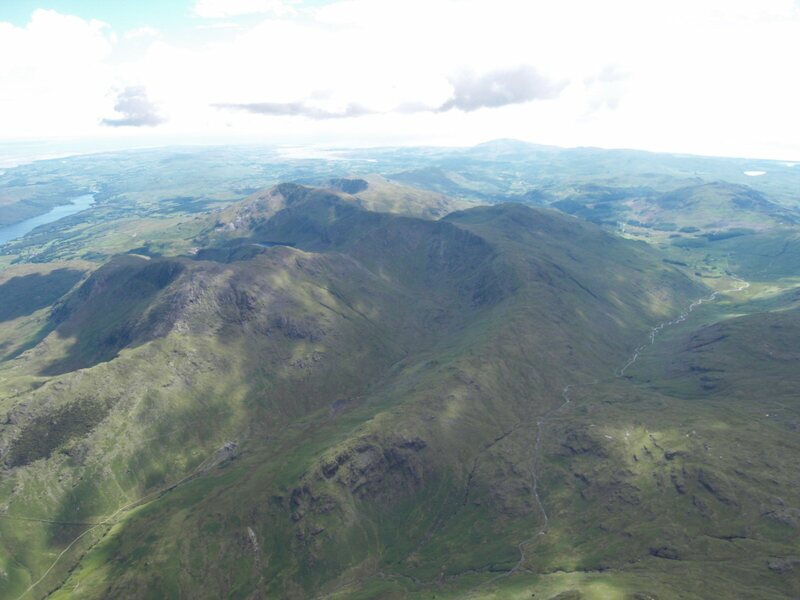 IMPORTANT - Restrictions on use Ask at Fell Foot before flying. Only the first pilots of the day need make contact with the farmer for permission. No dogs! The farmer has asked us to keep well clear of hay and silage fields. This shouldn't be a problem as most flights end above the intake wall. A stunningly spectacular site with the bonus of a road to the top (a short walk up may be necessary in lighter winds). Can be turbulent in strong winds if not a due easterly. A good site to begin exploring the Coniston and Langdale fells. Fell Foot Farm, where the windsock is kept. You need to go here first, don't you? 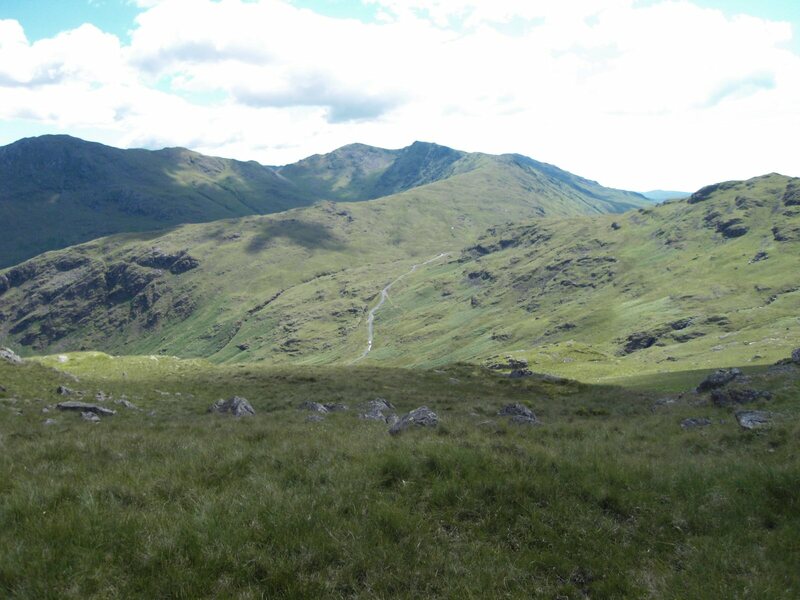 Approach from the south west via the Dunnerdale valley or from the east via Little Langdale. Take off can be just in front of the parking area or via a short walk 200' / 80m higher on the ridge to the north. The site ecomes increasingly turbulent if wind goes more than 20 degrees off the hill. Beware of this as it has caught pilots out and has resulted in accidents. Also be vigilent for the sea-breeze that can come in over the back! Beware penetration problems over the higher peaks. Land in the rough pasture 700'/ 225m below T.O. or on the fell side. In light winds it is usual to carry to the higher take-off. 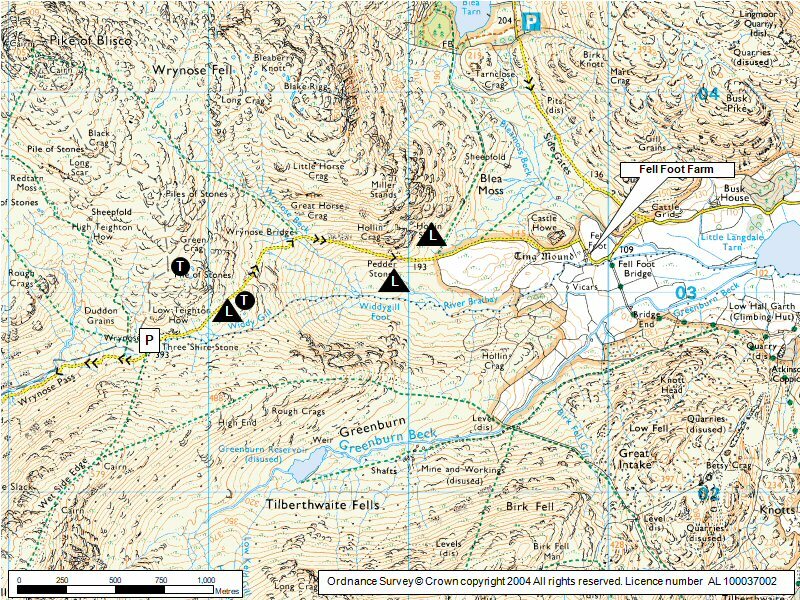 Limited to the west but good potential to use as a starting point to explore the Coniston or Langdale fells when conditions allow. A general view of the Wrynose Pass area. The road over the pass can be seen clearly on the right hand site with the summit about a quarter of a way up the picture. Coniston Water can be seen in the top left and the Old Man of Coniston is above Levers Water. The Wrynose Pass road leads down into Little Langdale. 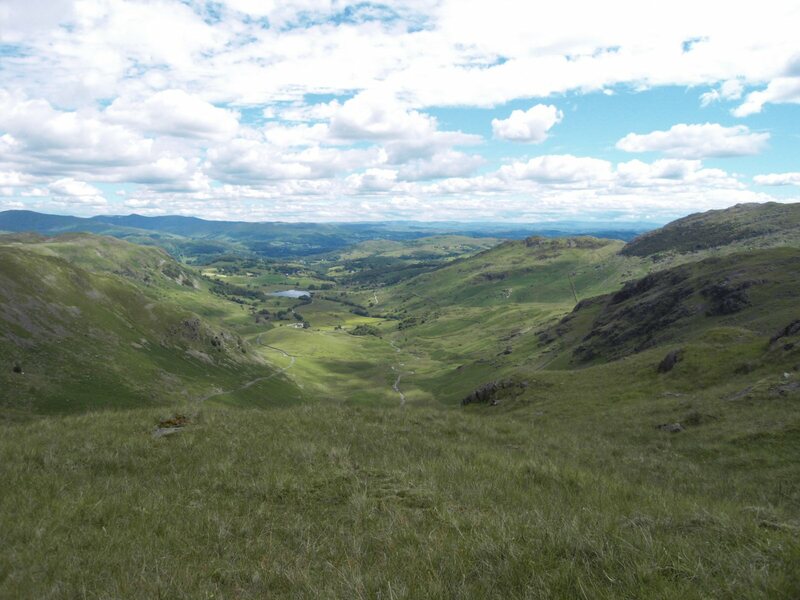 Looking down from take off into Little Langdale with Litte Langdale tran visible. Fell Foot Farm can be seen between the tran and take off. You can see why the site works best in a easterly direction only. From Little Horse Crags looking over to the summit of Wrynose Pass. Swirl Howe is in the background.